1. If a patient is suffering from fever, they should be put on a water and juice diet for a number of days. Drinking a glass of orange juice after every 3 hours is beneficial for people suffering from fever. Orange juice is not only a great source of energy, but it is also rich in Vitamin C. It, therefore, enhances natural immunity and increases the body's ability to fight diseases such as fever. 2. Made with whole grains, it is healthy and nutritious. Moreover, rotis are easy to digest. Avoid applying ghee/oil. Prefer roasted oil-free roti during fever. 3. Boiled rice : They are easy to digest and also rich in water content. Rice does not lead to water retention in the body. 4. A soft diet comprises of steamed vegetables, porridge, boiled eggs and yoghurt. The main reason why these foods are referred to as soft foods is because they are easy to digest and supply the body with loads of energy necessary for hastening the recovery process. 5. Apart from juice diet, an all-fruit diet is good for those suffering from fever. Besides fruits being easier to digest, they are also loaded with a variety of vitamins which help in hastening the recovery process. 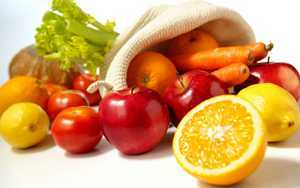 Some of the fresh fruits that those suffering from fever can include oranges, apples, grapes, lemons pineapples etc. If you have a fever, you are discouraged from eating canned or tinned fruits juices. These juices are loaded with high amount of preservatives, which delay the process of recovery. 6. Soup: Fever is most commonly accompanied by cold and cough. To get some relief, you can have a bowl of hot tomato or carrot soup. It is refreshing, boosts body metabolism and also increases immunity to fight against bacteria. 7. Khichdi: This Indian food is preferred during fever. It is light, easy to digest and low in calories too. Team it up with lemon pickle. 8. Boiled potatoes: There are many Indian recipes to make boiled potatoes tasty. Add few spices like black pepper and clove as these spices are good during fever. Black pepper and clove provides relief from cold and cough. 9. When you have a fever, and you want to treat it, rice porridge and ginger combined with vegetable broth is one of the best diets you can have. This is because it is easy for the body to digest this food. In addition, ginger has powerful anti-inflammatory properties, which help in eliminating the fever at the initial stage. 10. Tulsi chai: Herbal tea provides a lot of relief from cold, cough and a sore throat. If you have fever and want to rejuvenate your mood, have a cup of refreshing tulsi chai (basil tea).